In the past, small and medium sized businesses have relied on tape based backup systems to backup and restore their critical data. In our experience, managing and ensuring successful backups is an overwhelming task for most administrators. BCNI now recommends Sonicwall CDP to replace tape backups. 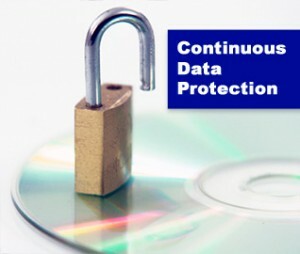 CDP (continuous data protection) is a real time hard disk based system that backs up data on an ongoing basis. CDP is more reliable, easy to work with and less expensive to maintain compared to tape systems. The Sonicwall CDP is a self contained appliance that plugs directly into your network. Backing up servers and workstations is simply a matter of loading the agent software on each machine you wish to backup, Backups happen in real time, meaning that as you create and save files they are automatically backed up to the CDP appliance. Restoring files is a simple matter of point and click in the management software. The CDP also keeps previous file versions available for restore. In addition to file based backup the CDP also offers an option to create a point-in-time snapshot. This is particularly useful for MS Exchange or MS SQL servers. Restoring from a disk based system also provides the benefit of cutting the restore time down to just minutes rather than hours in the case of tape systems. CDP also has an excellent system for moving data to an off-site location. If your company has a branch office data can be moved across the internet, again in real time to a second CDP device. Alternatively managed services based on data being stored are offered by service providers including BCNI Oakville. Sonicwall CDP 210 with 2 Terabytes of storage starting from $1290.